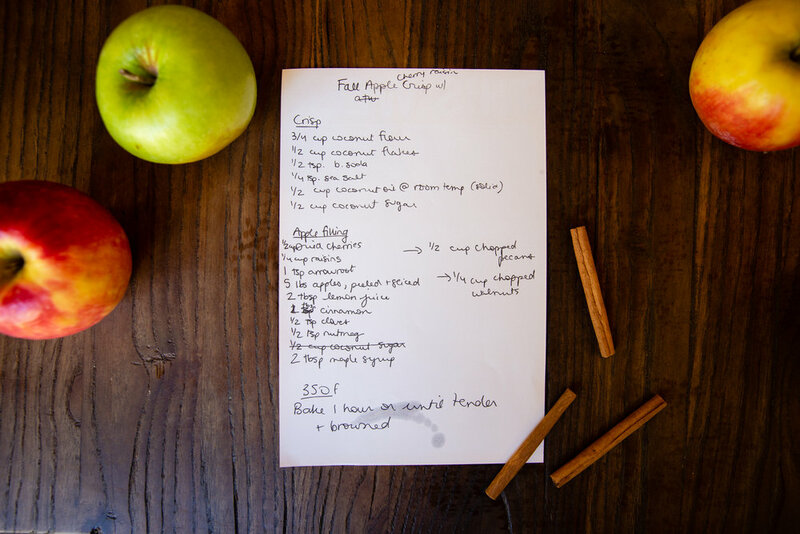 We asked delectableyou.com’s Lauren Lobley, one of our favorite Malibu chefs, to whip us up a delicious recipe that incorporated our favorite fall flavors but was still heart-healthy. She didn’t disappoint. I’m a traditionally trained pastry chef, but when I got out of culinary school, I didn’t feel good about what all that dairy and gluten was doing to my system. So I began experimenting with vegan and gluten-free baking. A lifelong sugar and carb addict (my childhood can be summed up in five words: cheese pizza and chocolate cake), I was very happy to find that I could create some really delicious - even healthy - recipes without the usual suspects I was used to baking with (eggs, refined sugar, dairy and gluten). This recipe falls among the healthiest I have created, which is a trick to the mind because it certainly doesn’t taste like it is. Enjoy this as a traditional crisp with a side of your favorite vegan vanilla or caramel ice cream (Coconut Bliss is my go to when I don’t feel like making my own), or switch things up by using this as a topping for breakfast: put it on top of your favorite vegan yogurt, oatmeal, or even quinoa! Welcome to fall! 1. Place apples, arrowroot starch, lemon juice, spices, maple syrup, dried fruit and nuts into a large bowl and toss to combine. Pour into a pyrex baking dish and spread in an even layer. 2. Place all the ingredients for the crisp into the same bowl (no need to create extra work!). Use a fork to mix until thoroughly combined. Sprinkle the crisp over the apples as evenly as possible. It won't cover the apples completely. 3. Place baking dish on a sheet pan to avoid burning the bottom before the apples are cooked. Bake for about 1 hour on the middle rack or until the apples are firm and the crisp is browned. If you find the crisp is browning before the apples bake, you can place a piece of foil over top of the baking dish to seal in the moisture and protect the crisp half way through baking.